Real-world observations contradict Mann’s claims: Dr. Mann claims that “it’s not rocket science” that global warming has led to “unprecedented” extremes in droughts (too little precipitation) and floods (too much precipitation). He insists that we must take “concerted action” to mitigate our use of fossil fuels so as to avert these “disastrous” and “devastating” extreme weather consequences. Mann classifies those who disagree with him about the link between AGW and these extreme weather events as “climate deniers”. According to climatologist Dr. Michael Mann, we human beings are significantly modulating the globe’s hydrological cycle by warming the planet. Mann postulates that anthropogenic global warming (AGW) causes the wet regions of the Earth to get wetter, whereas the dry regions of the Earth get drier (“DDWW” in the scientific literature). In other words, AGW causes extreme weather patterns to worsen, or occur with greater frequency and intensity. Mann even finesses his readers by characterizing the link between AGW and extreme weather as so obvious and facile a layperson can understand it. This is ostensibly what the epigram “It’s not rocket science” is designed to convey. 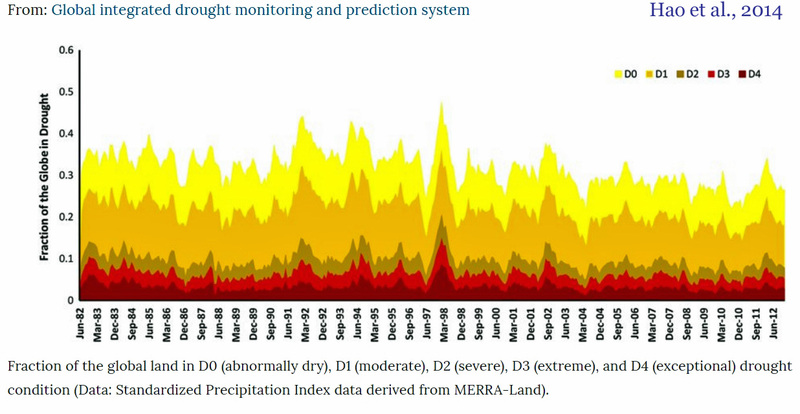 Dr. Mann claims that “it’s not rocket science” that global warming has led to “unprecedented” extremes in droughts (too little precipitation) and floods (too much precipitation). He insists that we must take “concerted action” to mitigate our use of fossil fuels so as to avert these “disastrous” and “devastating” extreme weather consequences. Mann classifies those who disagree with him about the link between AGW and these extreme weather events as “climate deniers”. 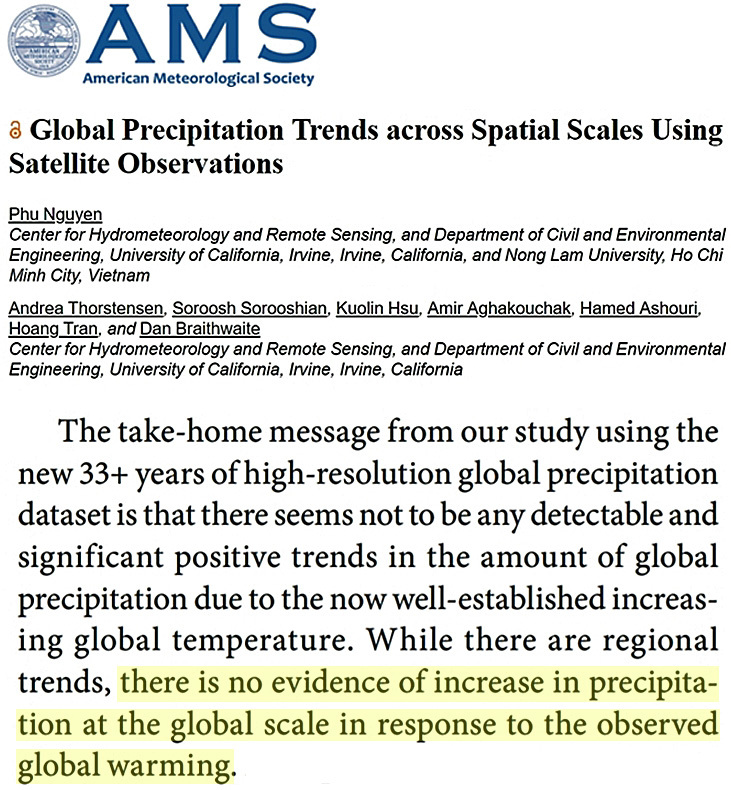 Despite the certainty in the “rightness” of his claims, the real-world satellite observations of precipitable water and precipitation changes during the last few decades do not confirm the narrative of an intensifying hydrological cycle in response to global warming. For example, Mann claims that “a warmer ocean evaporates more moisture into the atmosphere”. 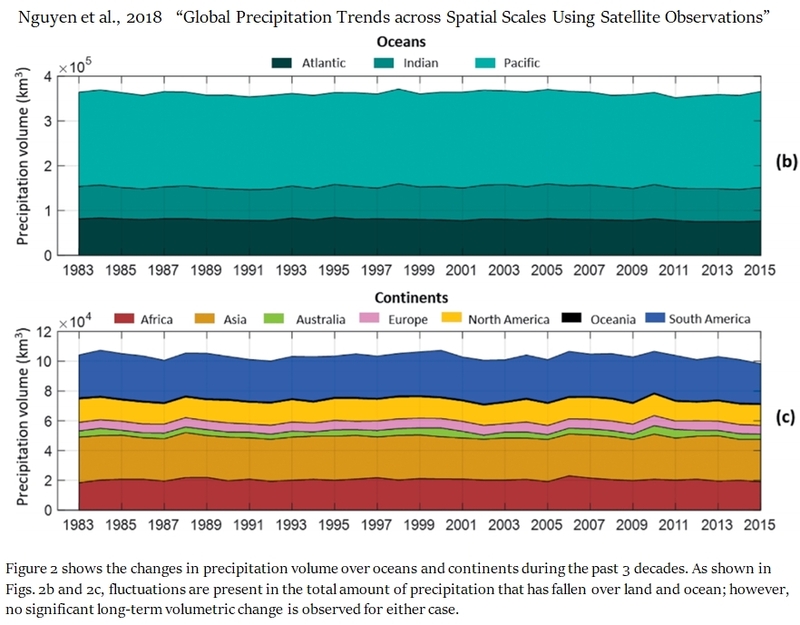 But recent observational evidence indicates that precipitable water has been declining over the global oceans for the last decade – the opposite of what Mann claims is happening. 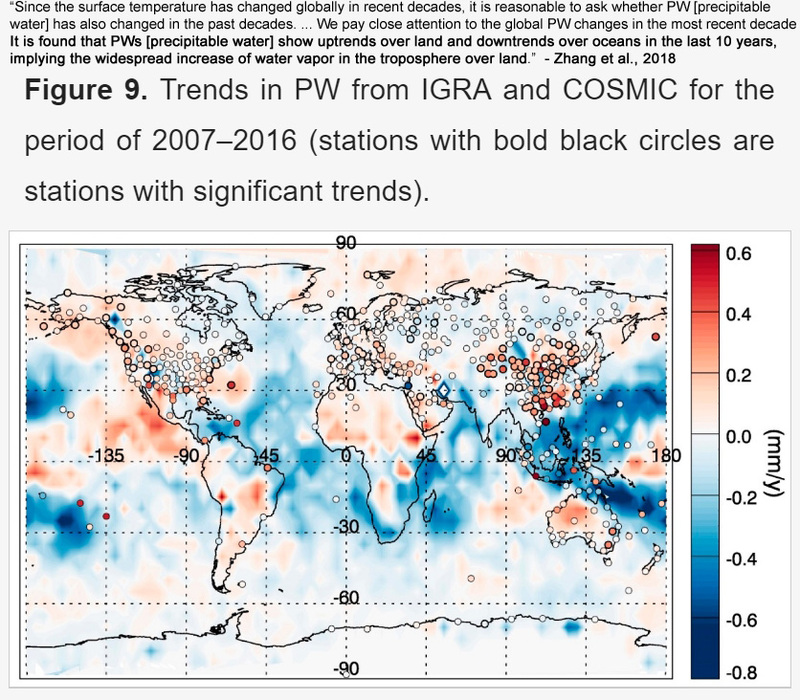 Comprehensive analyses further reveal no detectable changes in the Earth’s precipitation patterns in recent decades, as a dry gets wetter and wet gets drier trend is about as likely to occur as a wet gets wetter and dry gets drier(DDWW) one. Mann maintains AGW has increased the likelihood that deadly and “unprecedented” heat waves will occur. In the Washington Post article, he points out that 30,000 people died in the 2003 European heat wave, and that we can expect more of the same in the near future unless we “act”. However, just as with the precipitation patterns, the real-world observations do not support these claims. Scientists have concluded that heat waves are driven by natural variability (Dole et al., 2011, Shiogama et al., 2013, Dole and Hoerling, 2014). 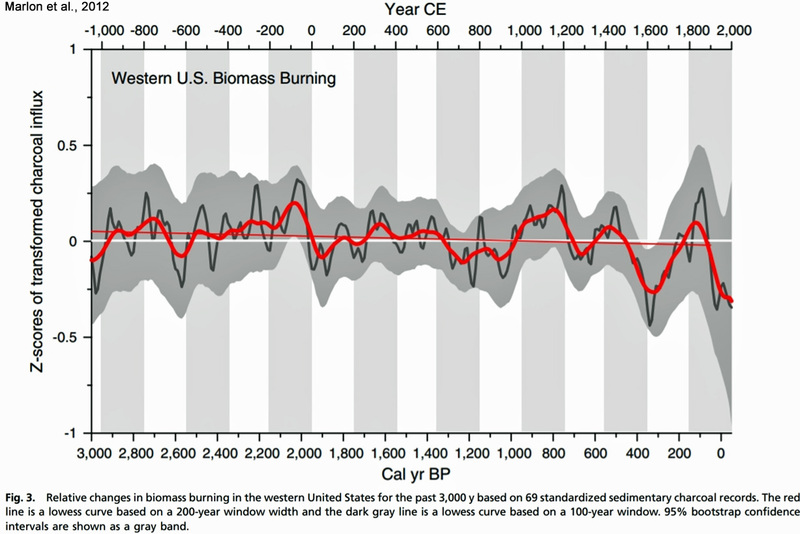 Furthermore, there have been no detectable long-term trends in increased heat waves during the last several decades. 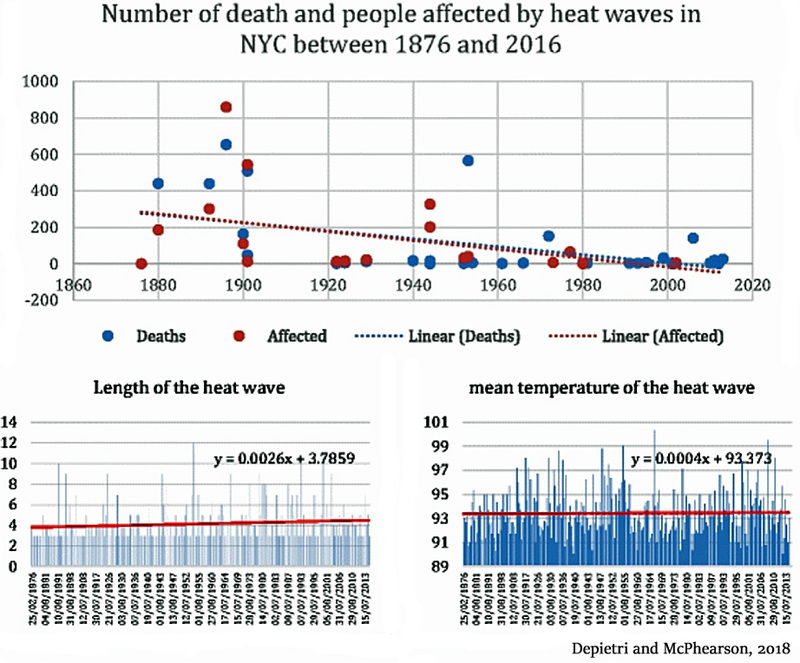 Considering there is apparently an obvious, “it’s-not-rocket-science” link between AGW and increased heat wave frequency and intensity, there should be a concomitant uptick in both heat-related deaths and a decline in cold weather-related mortality. Real-world observations indicate the opposite has occurred in the last several decades: cold weather deaths have been stable to increasing, whereasheat-related deaths have been declining throughout the world. 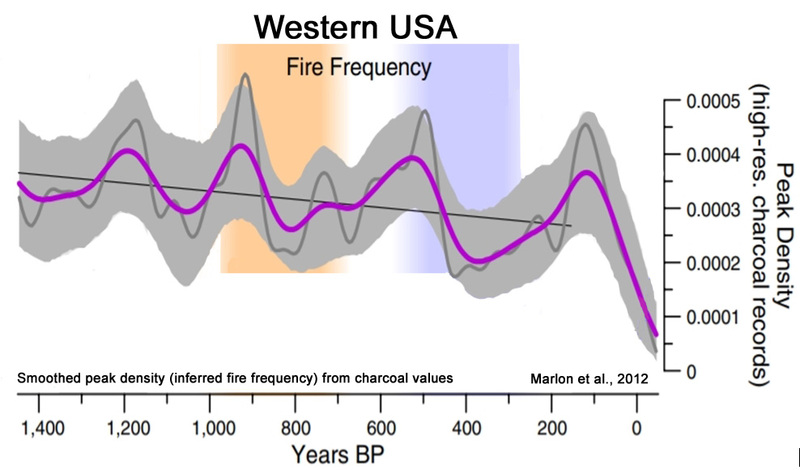 The it’s-not-rocket-science link between anthropogenic global warming and the frequency of wildfires is also not supported by real-world observational data. 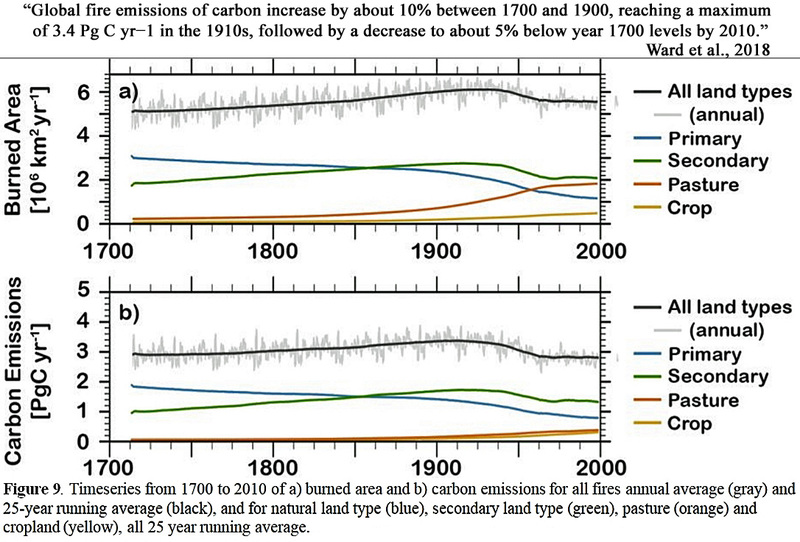 Globally, there has been a significant decline in fire frequency during the last several decades, and wildfires have been less common in the last century than “at any time in the past 2000 years“. Dr. Mann insists that the link between anthropogenic global warming and this past summer’s (NH) extreme weather events (droughts, floods, heat waves, and wildfires) is real and robust, even predicted by state-of-the-art climate modeling. He finds the connection between AGW and extreme weather so compellingly self-evident that it’s easy for even the average reader to understand. Hence his tactical use of the “it’s not rocket science” maxim. Only “climate deniers” would disagree, he says. Observational data from the real world do not affirm Mann’s claims, however. And science is, in its essence, rooted in real-world observational evidence, not theoretical pontification about presumed attribution. It is therefore quite reasonable to conclude that the link between AGW and extreme weather events is indeed not rocket science. It may not even be science.